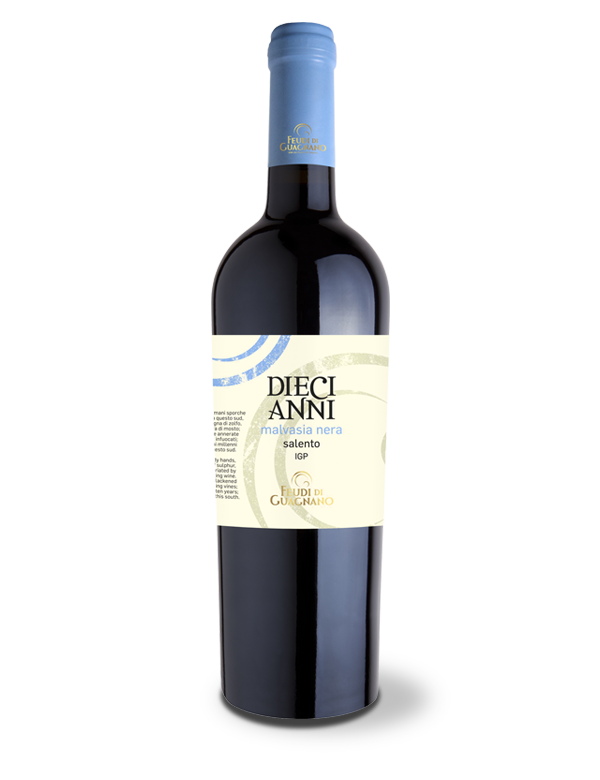 The long maceration of the grapes gives this wine a compact red color with strong garnet nuances. The sensory profile is complex and delicate. It ranges from ripe red jam fruits to the typical bitter almond note. 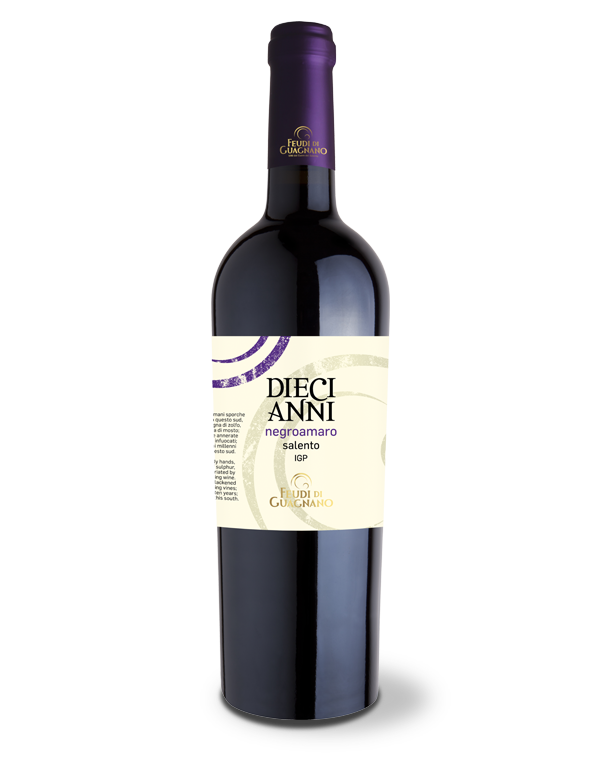 DieciAnni is the name that identifies these particularly valuable labels; to make this line the winery took ten years in experimentation and tasting: hence the name of these extraordinary wines. Already in the destemming-crushing phase, the bunches of negroamaro and malvasia nera, the latter present in modest quantities in our vineyards as it was used in ancient times, are “married”: the involvement is absolute. 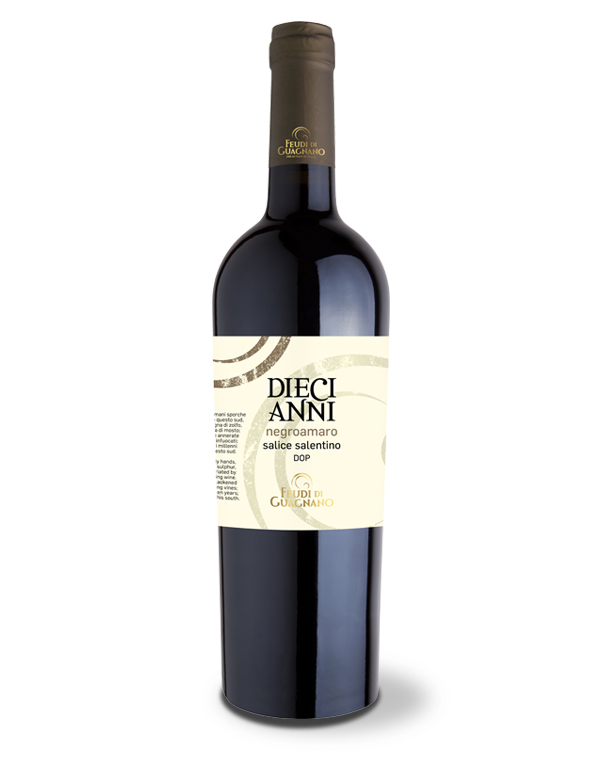 The long maceration to which they are subjected together, combined with a passage in French barriques for 6 months, gives this wine a distinct personality.